• Carson Wentz: Missed the first two games of the season as a result of the ACL and LCL he tore in December of 2017. • Darren Sproles: Played Week 1 against the Atlanta Falcons, but has missed the last eight games with a hamstring injury. • Jay Ajayi: Tore his ACL against the Minnesota Vikings. He has missed five games already, and is done for the season. • Corey Clement: Missed two games with a quad injury. • Alshon Jeffery: Missed the first three games of the season while recovering from rotator cuff surgery. • Mike Wallace: Broke his fibula Week 2 against the Tampa Bay Buccaneers. He has missed seven games. • Mack Hollins: A groin injury landed him on injured reserve just prior to Week 1. He has missed all nine games so far this season. • Richard Rodgers: Suffered a knee injury in the preseason that landed him on IR, just before Week 1. He has missed all nine games. • Lane Johnson: Missed one game with an MCL sprain, has also played through a high ankle sprain. • Jason Peters: Has played in every game, but he only played every snap in one of them, as he has battled through a torn bicep, a quad injury, and the effects of a torn ACL and MCL from last season, all at the age of 36. • Jason Kelce: Has played in every game, but he is clearly playing hurt. • Derek Barnett: Tore a rotator cuff, which he tried to play through initially, but eventually needed surgery to repair. He has missed three games so far, and is done for the season. • Timmy Jernigan: Has missed all nine games this season after having surgery to repair a herniated disk. • Haloti Ngata: Missed three games with a calf injury. • Kamu Grugier-Hill: Suffered a thumb injury against the Jaguars that has not caused him to miss any time, but has affected his play, as a golden opportunity for a pick six against the Cowboys slipped through the club on his hand. • Paul Worrilow: Tore his ACL in OTAs. He has missed every game, and is done for the season. • Nate Gerry: Missed three games with knee and ankle injuries. 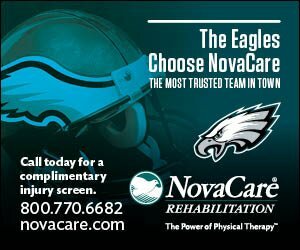 • Ronald Darby: Done for the season after tearing his ACL Sunday night. • Sidney Jones: Missed three games (and possibly counting) with a hamstring injury. • Jalen Mills: Missed a game (and possibly counting) with a foot injury. 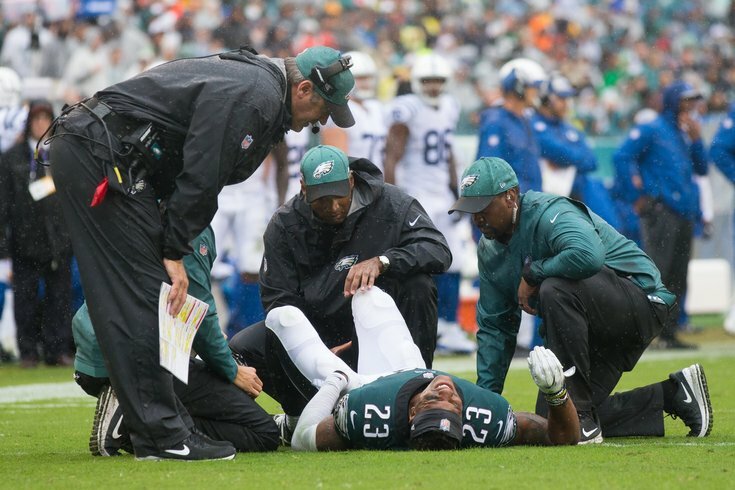 • Rodney McLeod: Has missed six games so far with a torn MCL. He's done for the season. • Corey Graham: Has missed three games with a hamstring injury. • Chris Maragos: Has not yet recovered from a serious knee injury suffered last season against the Carolina Panthers. Has missed every game this season, and isn't expected to return.